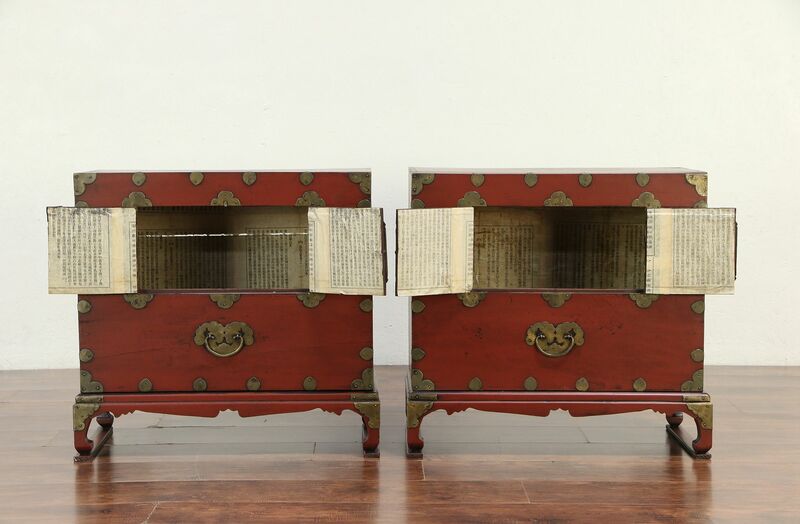 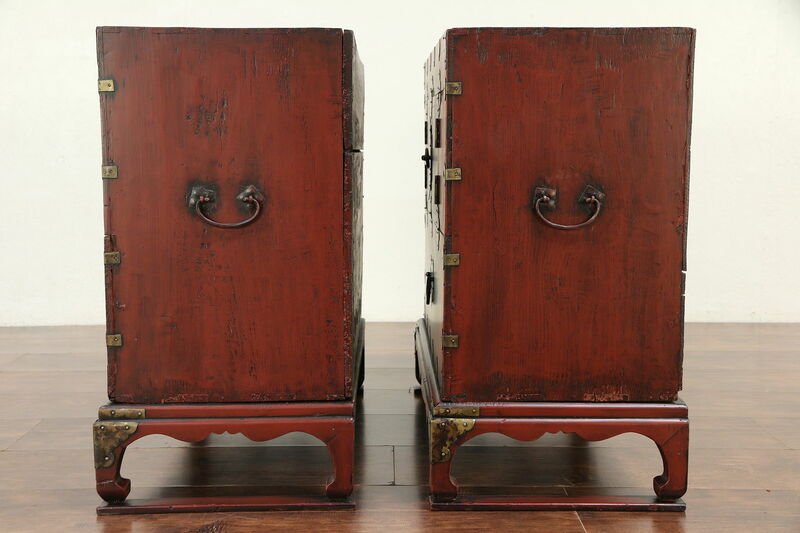 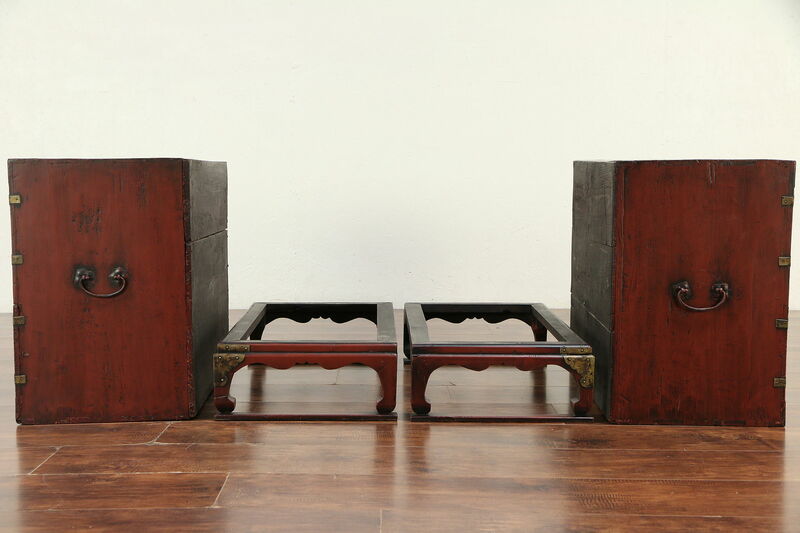 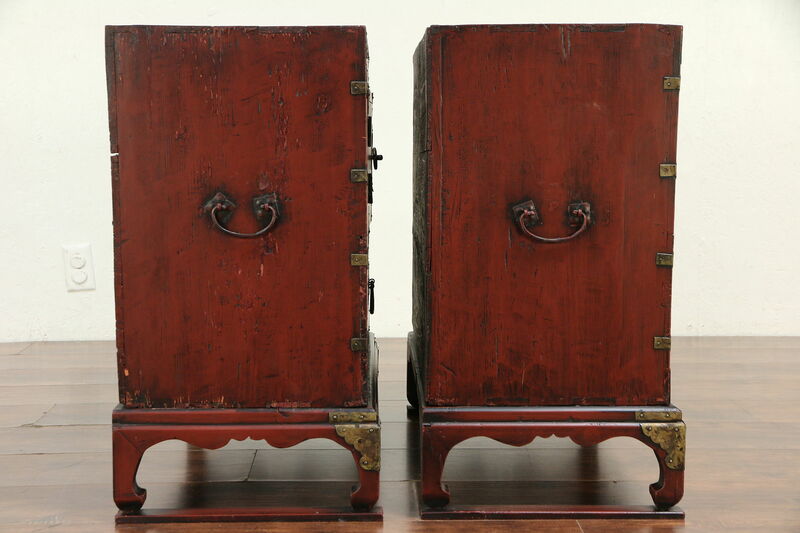 A pair of Korean dowry chests from about 75 years ago could serve as end or lamp tables or nightstands. 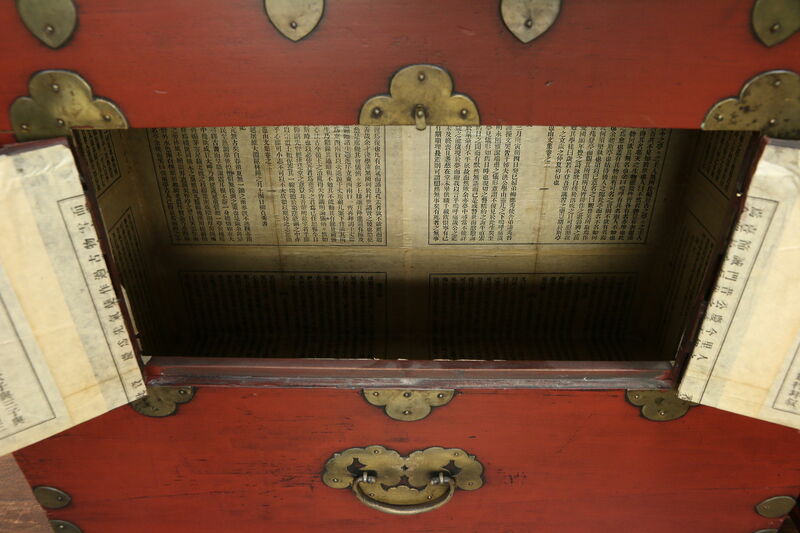 Hand hewn of pine with brass mounts, there are doors to the interior, lined with newspaper. 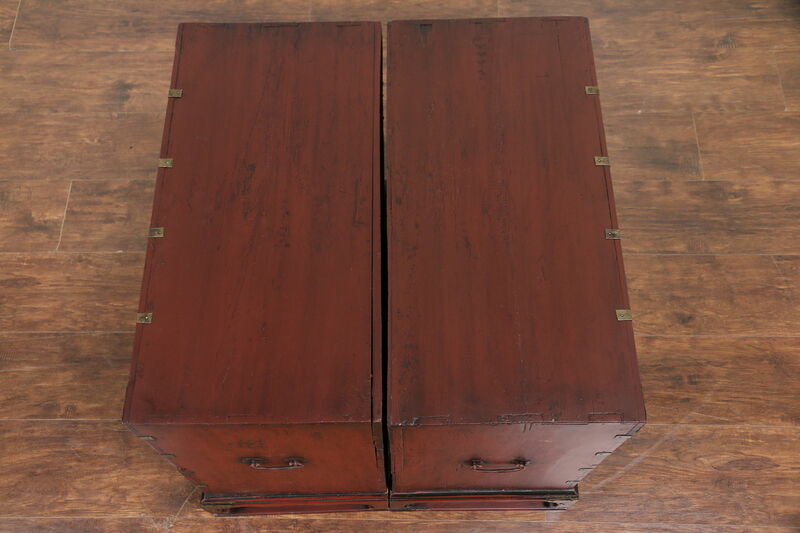 Both chests have separate bases. 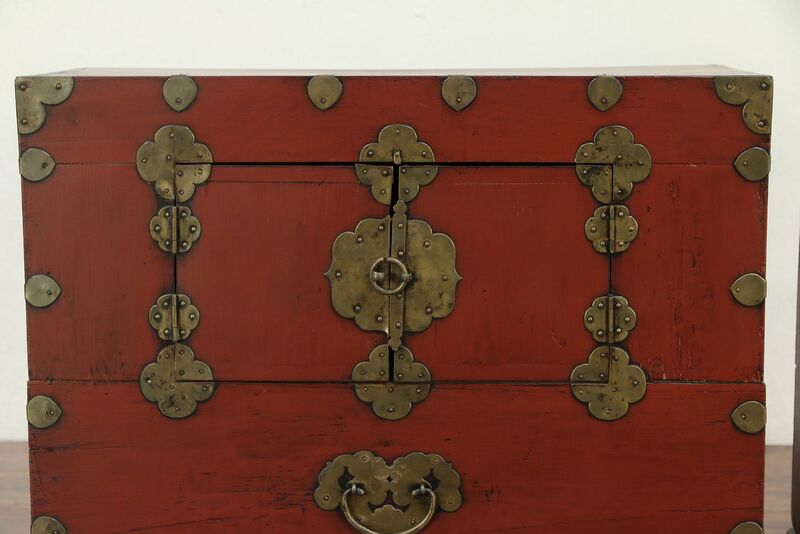 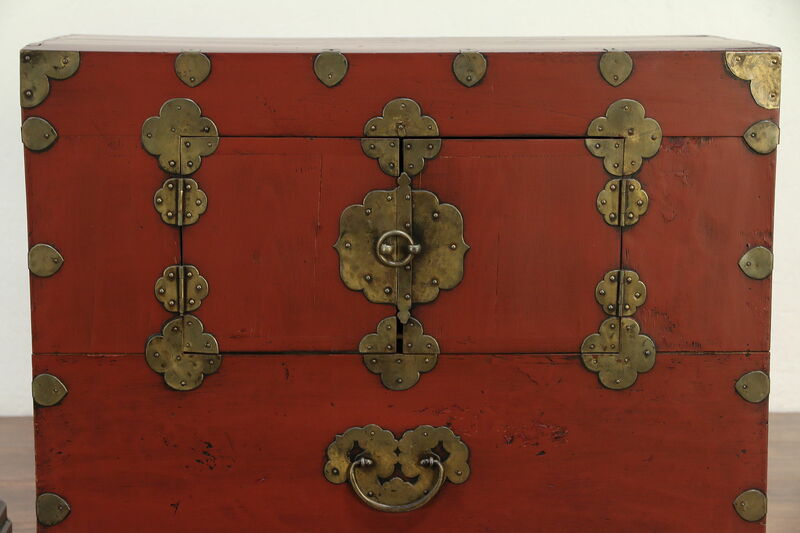 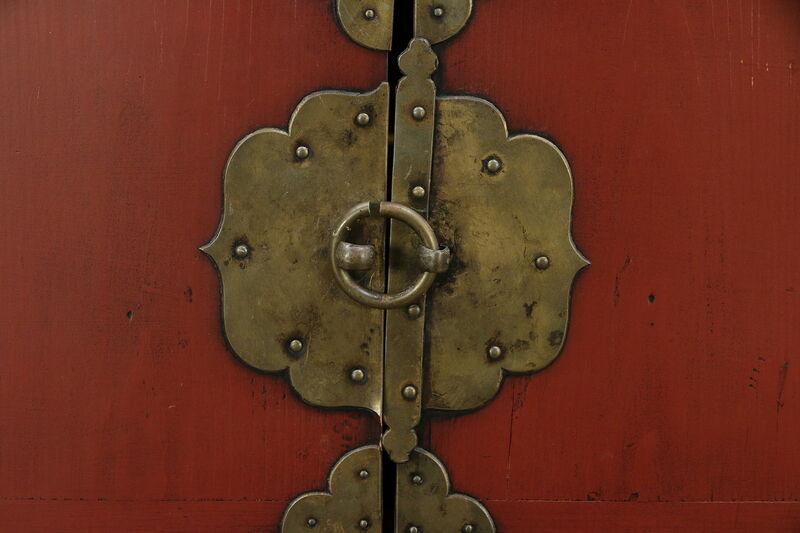 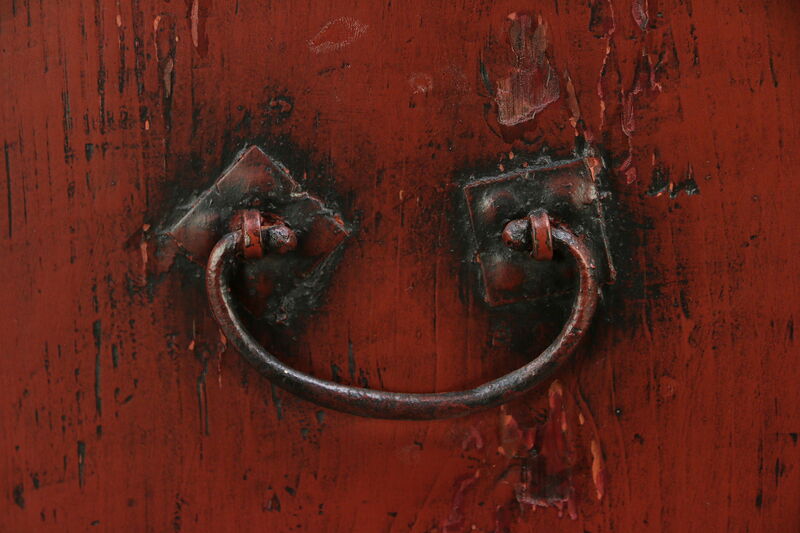 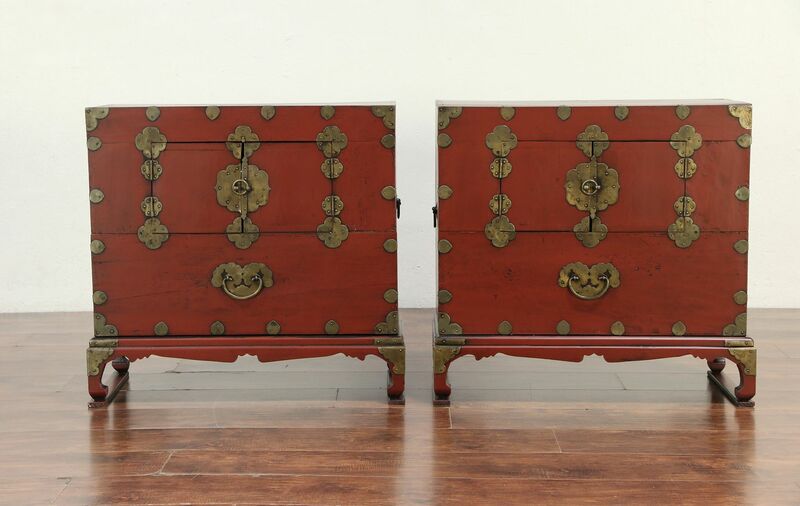 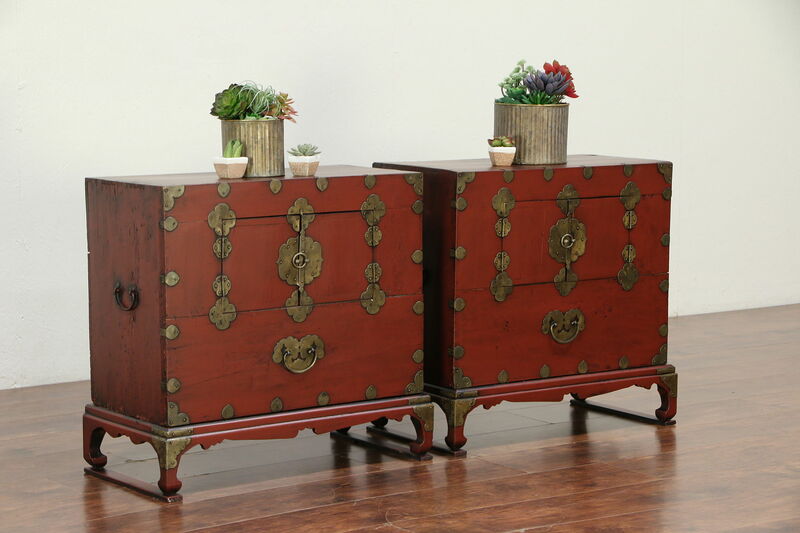 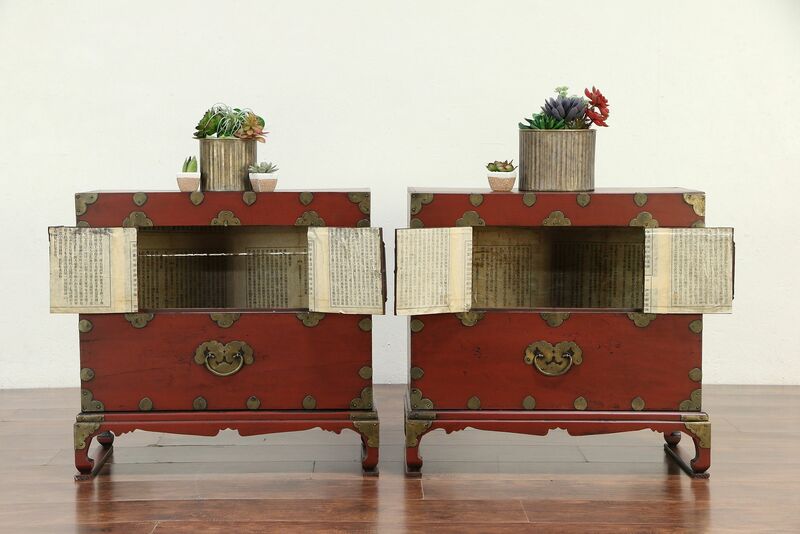 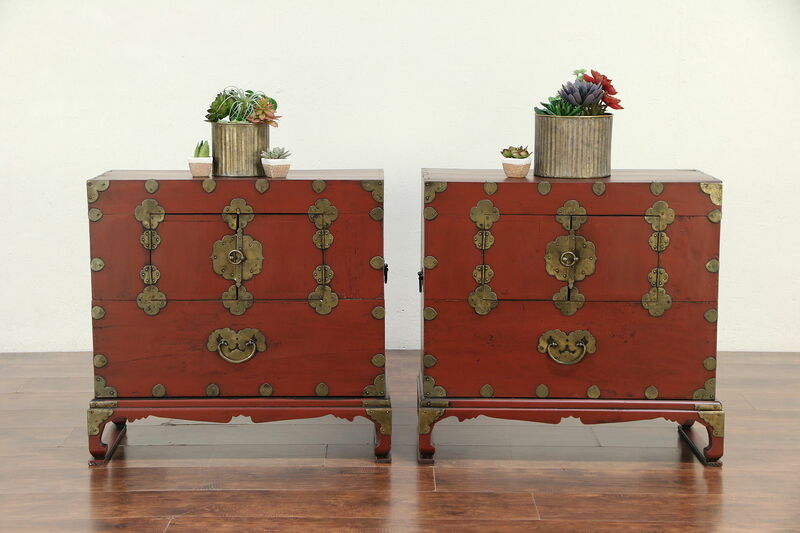 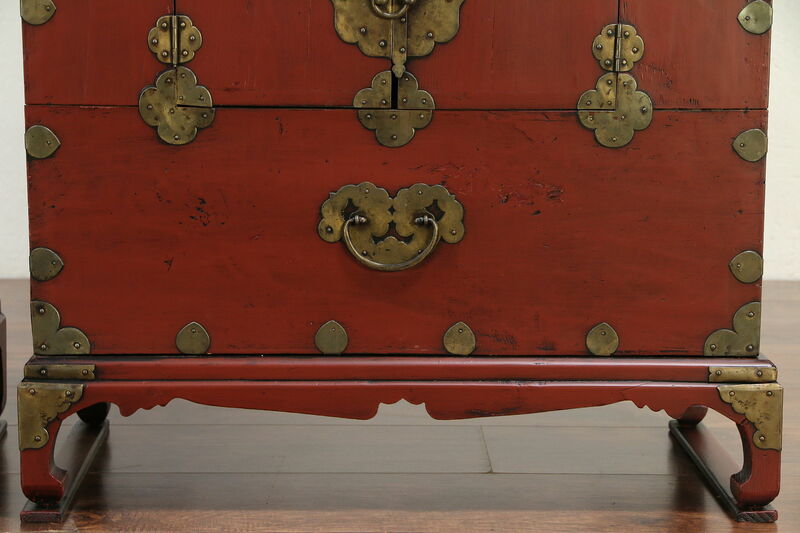 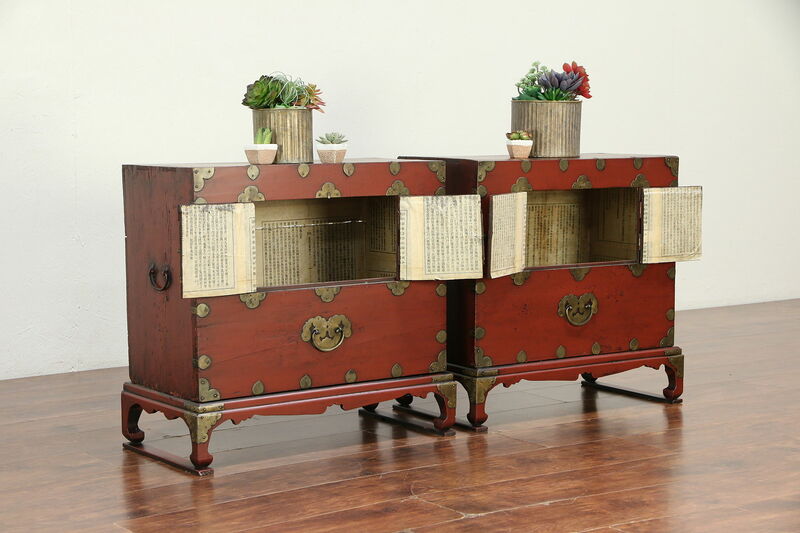 The original soft red lacquer finish has been preserved with clear satin varnish on this Asian antique furniture. 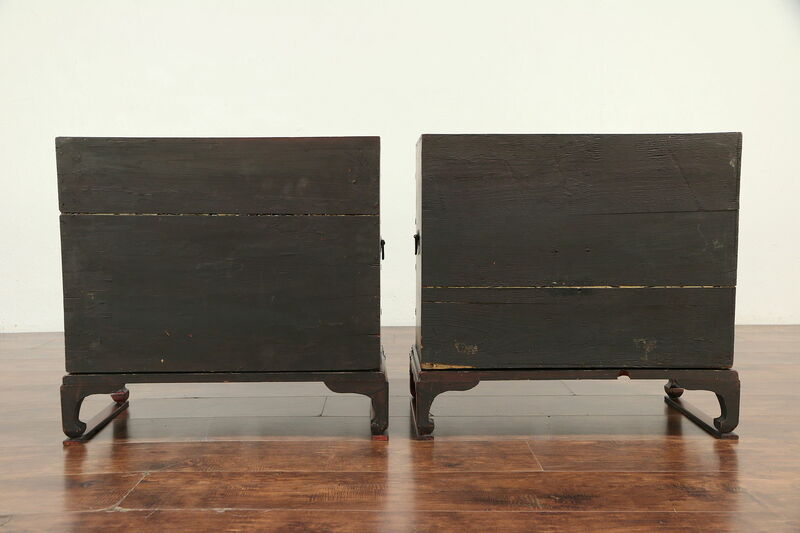 Hand cut dovetail joints are visible on the edges, every surface is hand planed. 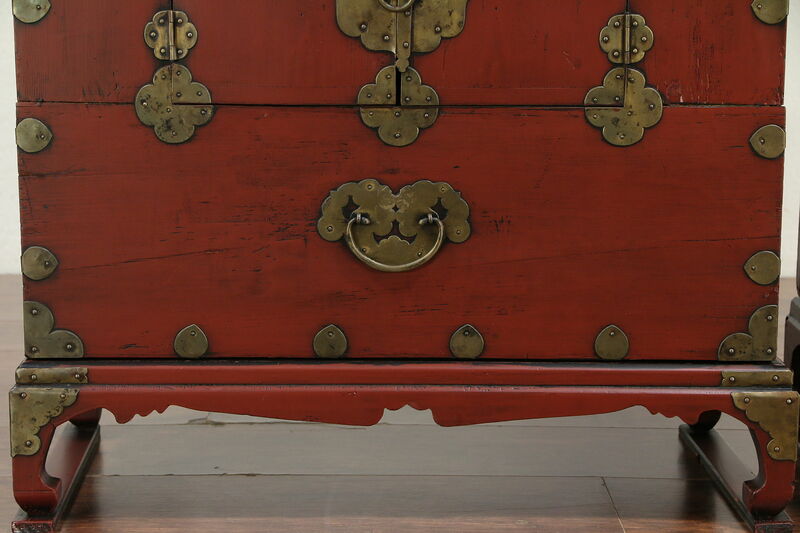 There are minor mars and shrinkage separations from age for a little character, see photos. 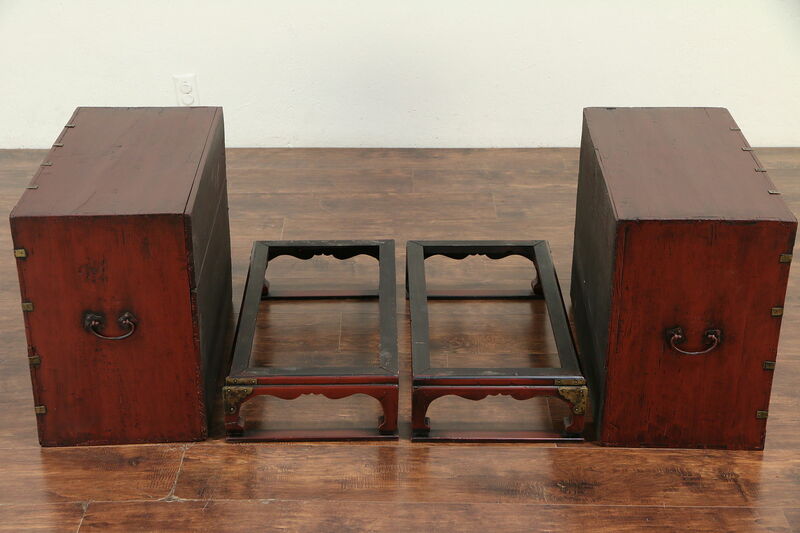 Size is 26 1/2" wide, 14" deep and 25 1/2" tall.